At Jefferson (Philadelphia University + Thomas Jefferson University), we are excited to officially present our combined university to the region and the world. 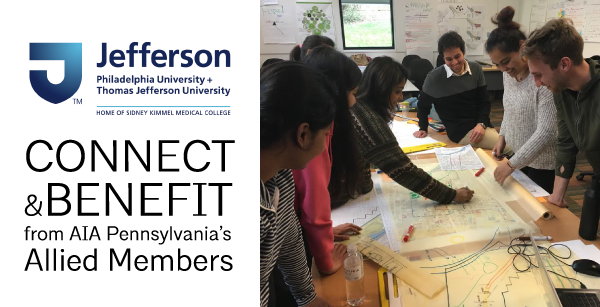 As the new Jefferson emerges in the Philadelphia area, we want to remind our local friends that the College of Architecture and the Built Environment (CABE) is not only here to stay, but stronger than ever. At Jefferson (Philadelphia University + Thomas Jefferson University), we are excited to officially present our combined university to the region and the world. We invite you to learn more about the variety of distinct graduate programs we offer within CABE.